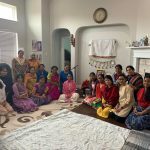 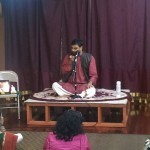 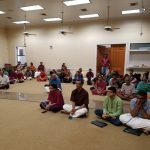 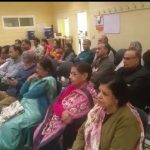 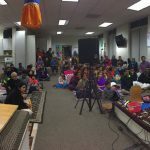 On the evening of Saturday, October 5th, Sri Ramanujamji addressed a group of 50+ devotees at the Hindu Temple of New Hampshire in Nashua on Bhagavatha Dharma. 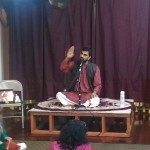 He spoke on the simple path of grace, where by mere listening to Krishna Katha and chanting the Divine Names, Bhagavan bestows us with everything. 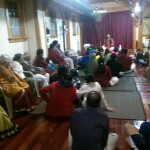 At the conclusion of the discourse, everyone chanted Mahamantra. 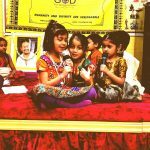 Earlier, Sri Ramanujamji addressed about 50 children of ‘Bala Gokulam’ – a program for kids aged 4-14 regularly organized by the temple. 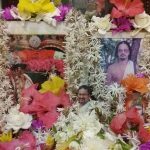 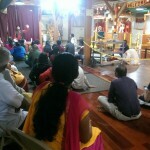 The programs were organized by Sri Lakshmi Munugoor and Sri Veeramani of the temple.